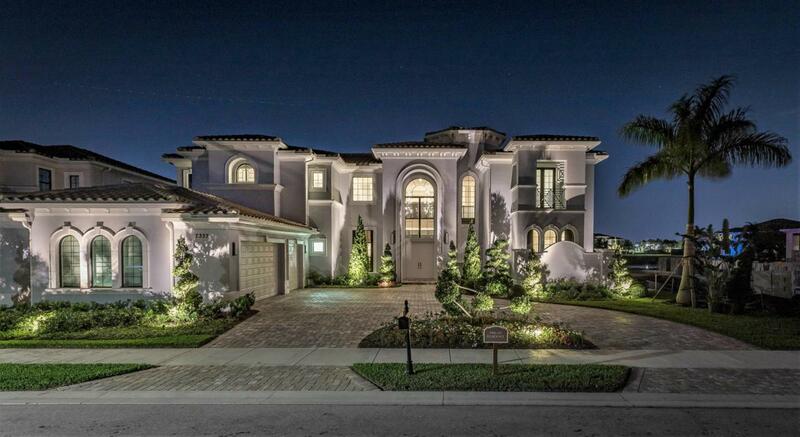 Exquisite VILLA LAGO MASTERPIECE in the Signature Collection- ROYAL PALM POLO! Move in Ready! $800,000 in upgrades! 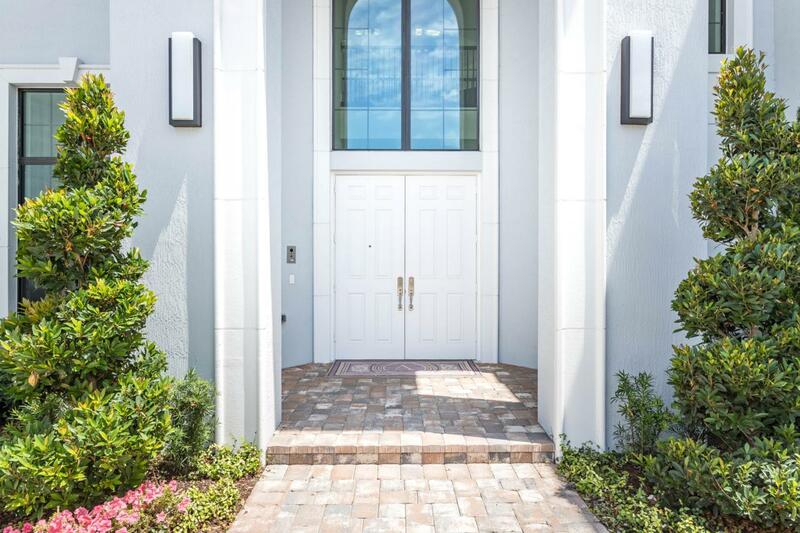 Built New in 2017- Prime Location with Dramatic Center Lake Views, In the Heart of Boca, Home has beautiful landscaping leading to a covered entry that opens to a two-story foyer, with 48 X 48 Porcelain Tile Flooring, Spectacular Formal Living room, Gorgeous Chandelier, Customer Gas Fireplace with LED lights & wet bar with large Impact Windows looking out the outdoor Oasis, Cover loggia with 24 X 48 Lime Stone & Custom invisible drain, Grass Pool deck, Two outdoor Fireplaces, Custom Pool & Spa, Brand New Summer Kitchen with a beautiful Lake view. The Expansive custom Gourmet Chefs Kitchen with a Large Center Island, Gas Wolf Stove with indoor grill & Sub Zero Appliances!Breakfast area adjacent to the expansive Family room with one of the most amazing Restoration Hardware Chandelier & Custom Gas fireplace with LED lights, two Luxurious Master Suites one on the first floor & one on the Second Floor, First Floor Master Suite has two very Large Walk-in Closets, Morning Bar, Master Bath Has His And Hers water closets, Large shower & Soak Tub,Upstairs Master has large Setting Area, Morning Bar, Large En-suite Roman Tub, Gorgeous Juliette Balcony over looking the outdoor Oasis, all bedrooms have private en-suites. Home has Private Study/Bonus room/Theater. Impressive State of art Smart Home System "Control 4" running the outdoor lights, Surround Sound inside & Out, Temper Control. Royal Palm Polo has an amazing Clubhouse, Gym, Resort Pool, Tennis Courts. Listing provided courtesy of Signature One Luxury Estates Llc.